Since I first saw the Surly Straggler back in 2013, I absolutely needed one. I don’t exactly know why but I couldn’t get the bike out of my head. I never had a MTB in my life, never felt a need for bigger tyres than 622 × 25c and never intended to own more than two bikes at the same time. I simply never wanted any of my bikes collecting dust. Back in 2013, me and a group of very good friends did a tour to the baltic sea. We threw racks on every sort of bike and pedaled 470km up north. I did that with an old Giubilato Vintage Road Bike. It was an awesome trip but also the first time I seriously started thinking about a bike with more capabilities than putting ugly panniers and half baked fender solutions on it. I needed something more “all purpose” and something more reliable. 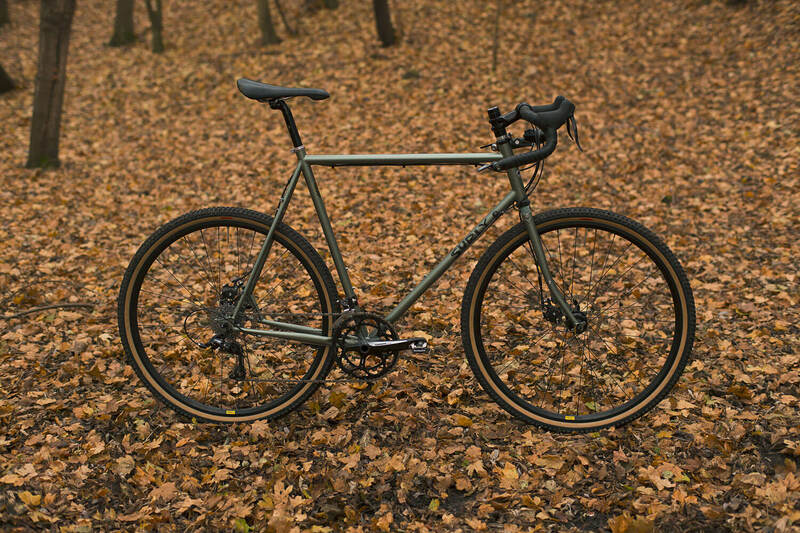 In search of my personal N+1 bike according to Rule #12 I caught up on a lot of possible handbuilt and stock frames over this past year but curiously always kept the Surly Straggler in mind. To cut a long story short — I couldn’t resist any longer and bought a 62cm Straggler frameset back in June 2014. It turned out that I had to wait 3 months until the frame set would finally arrive in the shop. So what about the bike? Can you really just do anything on a Straggler? My answer is yes! 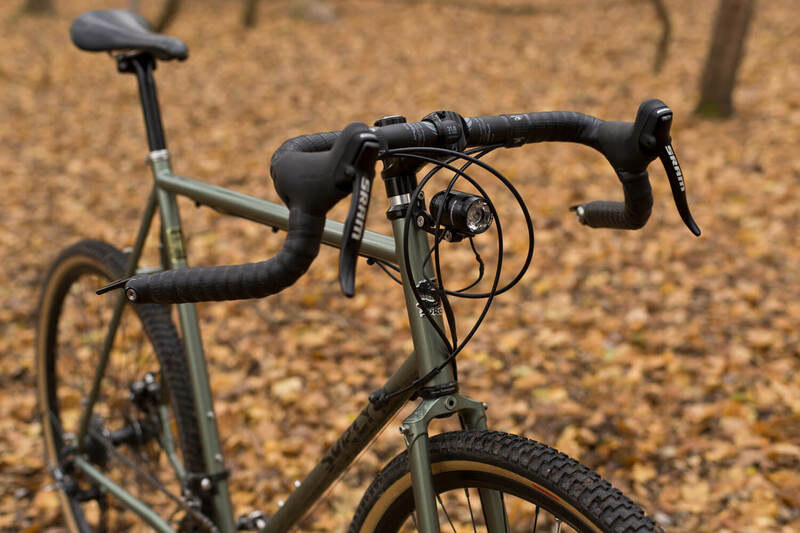 Like Surly says: it’s a weekender, a day tripper, a cyclocrosser, a commuter, a touring bike — it’s whatever you want. I personally think this bike is a bit of everything except “Race”. The build itself is mostly built out of SRAM parts. 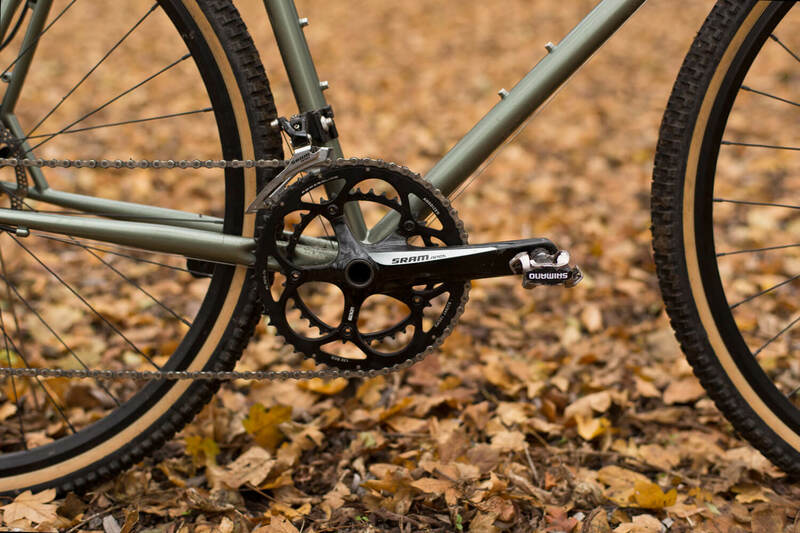 The group set is a used SRAM Apex matching well to the SRAM X9 rear hub, the SRAM Aero 500 bar end shifters as well as the SRAM S500 brake levers. The front and rear Supernova lights are powered by a Shutter Precision front dynamo hub wich is surprisingly small and very efficient. The mounts for the front and rear lights are customized. The well hidden rear light mount is my favorite detail. For the handlebars I wanted something different than normal drop bars. I decided to go with the Salsa Woodshipper off-road drop bar. 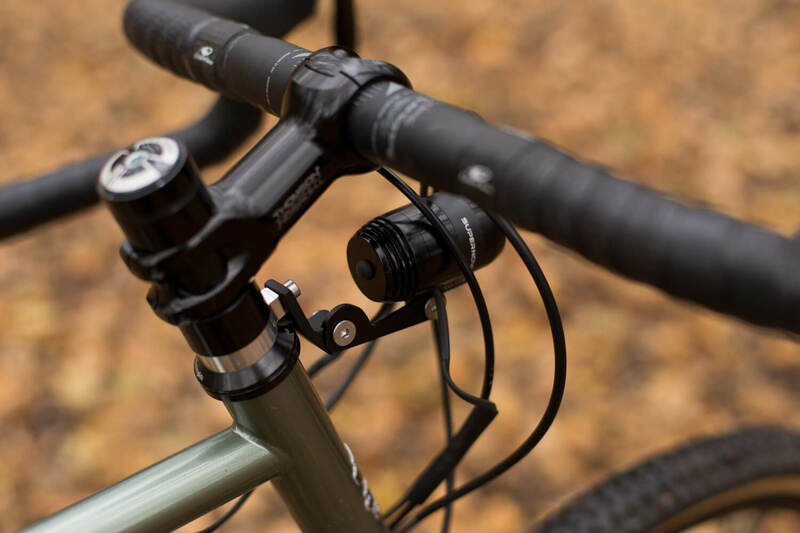 It offers a lot of hand position options, the bar ends accept bar end shifters and the unique shape requires a more special setup. The brake system isn’t something special. 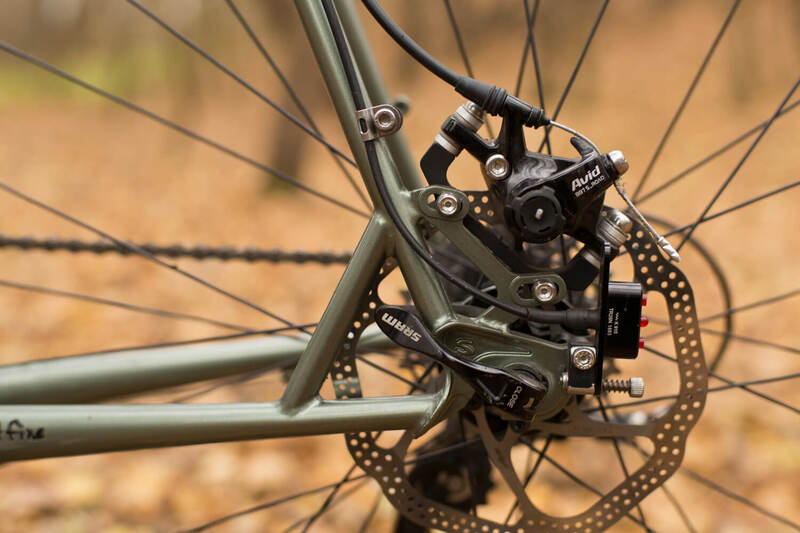 I decided to go with the well known and easy to install Avid BB7 Road mechanical disc brakes and 160mm rotors. Stopping power and modulation are very good — just as I had expected. Before I even knew what frame to choose, I knew which tires I wanted. Bruce Gordon Rock N Roads! 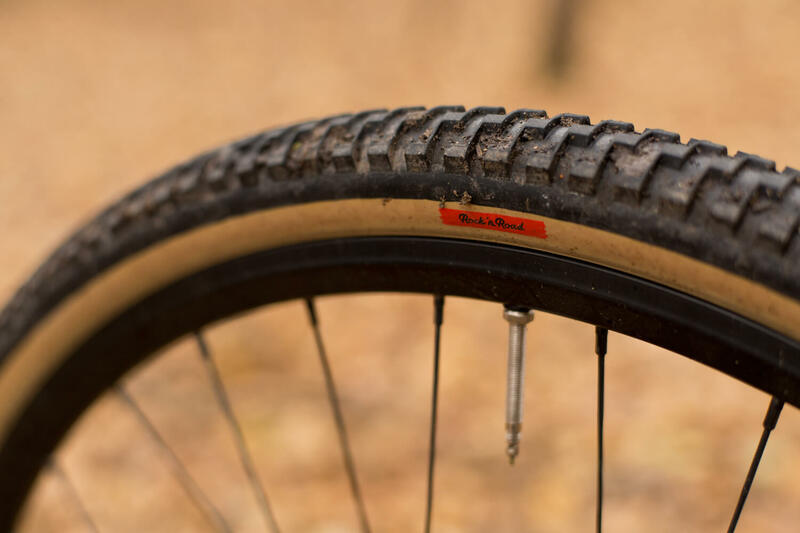 These tyres are amazing and they originally were designed by a dude named Joe Murray back in 1988. They’re big, 43mm (1,72″) perfect for touring and cross and they’re from Panaracer in Japan. They are of course not fast on concrete but good on gravel, sand and rocky roads. They’re not the cheapest. 45€ a piece is tough and as far as I know, unfortunately, they’re not available in Germany. Since I only get my hands on the Surly Straggler frame set in Glitter Dreams I wanted the Straggler custom painted. Our painter Holger did an awesome job. My colour of choice was a metallic Kelp Green. 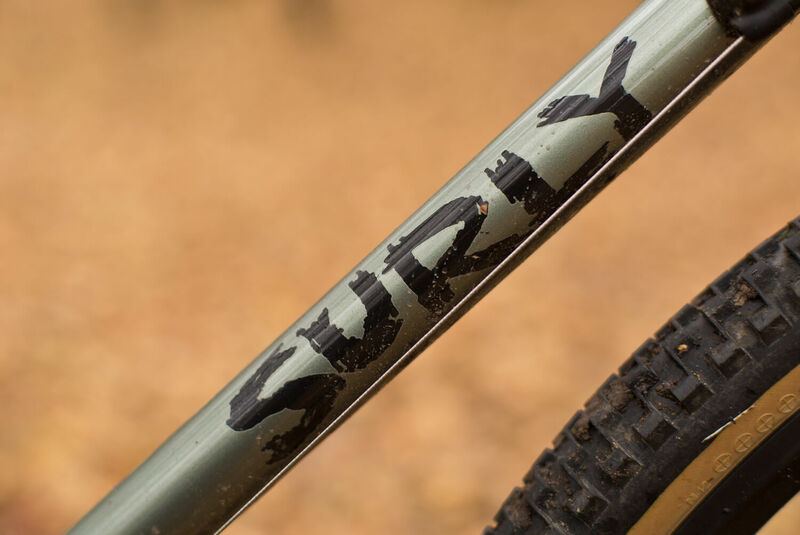 He recently custom painted a lot of frames for The Hunt and the results were always top-notch. I didn’t have the time yet to ride the bike long distance but as far as I can say the ride on the Straggler is very comfortable. The top tube is longer than the cross checks top tube. 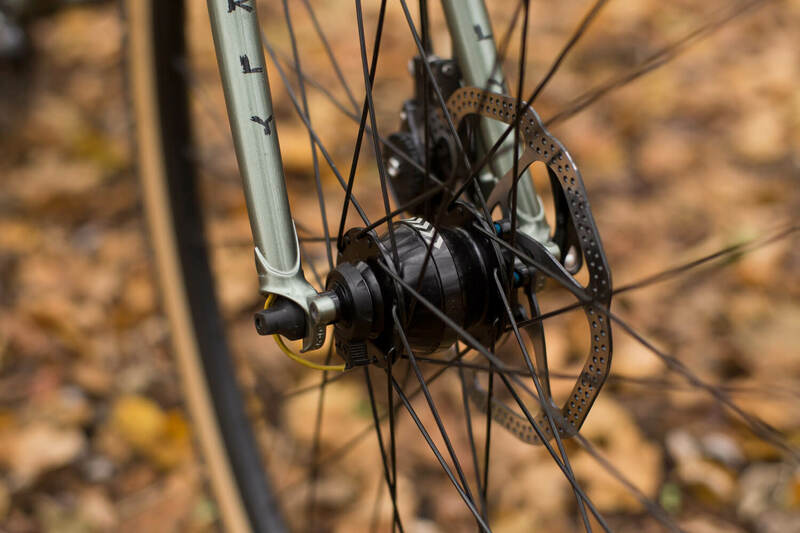 This enlarges the distance between the wheels and results in a more stable ride. I’m really looking forward adding low rider racks (maybe the Tubus Tara low rider model) and fenders in the near future and I’m curious how the bike rolls when fully loaded with front and rear luggage on longer rides. 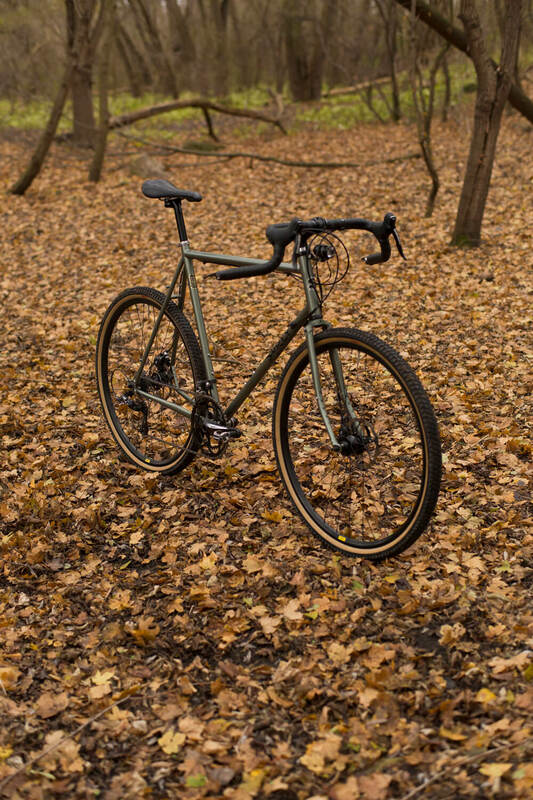 With the Surly Straggler I’m feeling perfectly equipped for everything I ever wanted to do on a bike. Now all I need is summer. Still there are a few things to do. The head tube has to be trimmed down to the final length. The seat clamp and the front lamp-mount are still silver — I want them with a black finish and I definitely have to change the front gearing from 53/39 to 36/46 but unfortunately didn’t get around to change it. 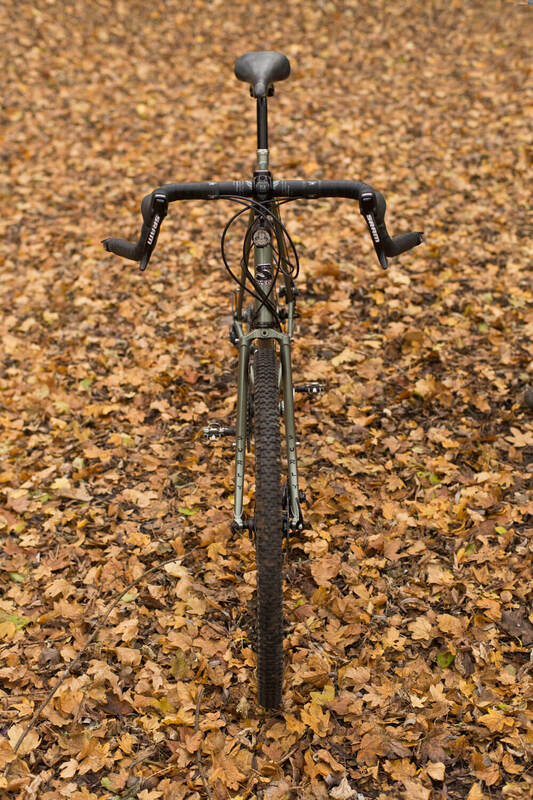 I hope you enjoyed the read and don’t forget: You can’t go wrong with a Surly.